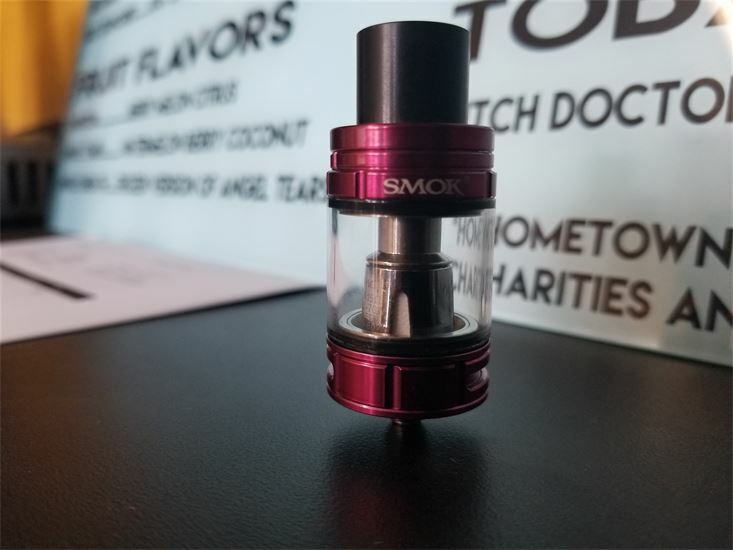 Filling the 25mm Super Tank is done quickly and conveniently by unscrewing the delrin drip tip, revealing three fill ports. Airflow features a dual 13mm by 3mm airslot design with six settings that click conveniently into place. 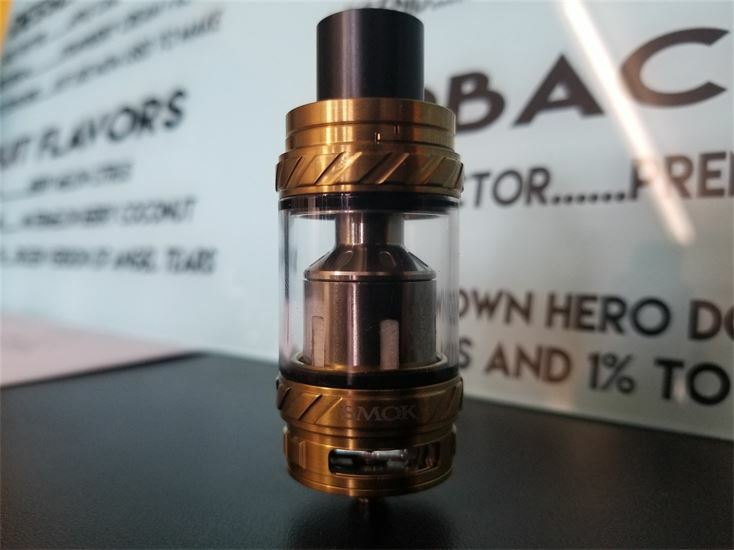 Inside, the Super Tank Coil features a vertical coil orientation with two resistances, a 0.2 and a 0.5 ohm, included that are rated by Tobeco to run up to 100W. 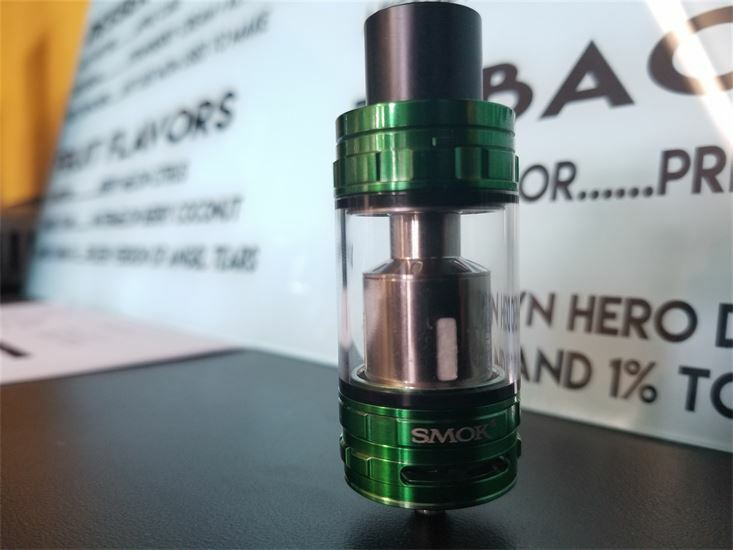 The construction of the 25mm Super Tank follows that of the others in the series, featuring a heavy duty stainless steel chassis combined with high quality glass and silver plated contacts for maximum conductivity. 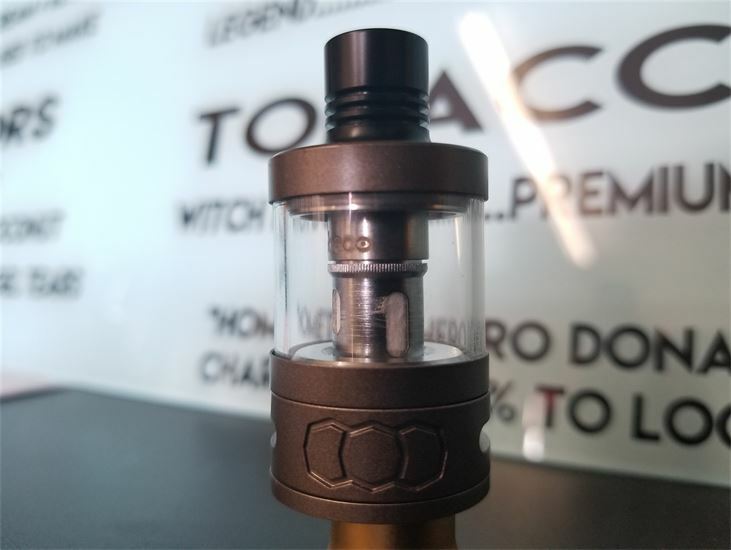 Perfect for box mods, the Tobeco 25mm Super Tank Sub-Ohm Tank is an extremely well rounded flagship platform at an extremely competitive price point. The Crown 3 measures 24.5mm in diameter and features sleek and smart design elements that combine for a universally appealing design. The Crown 3 features an Anti Leak Threaded Top Fill Method that unscrews to reveal dual 3.5mm by 6mm fill ports. 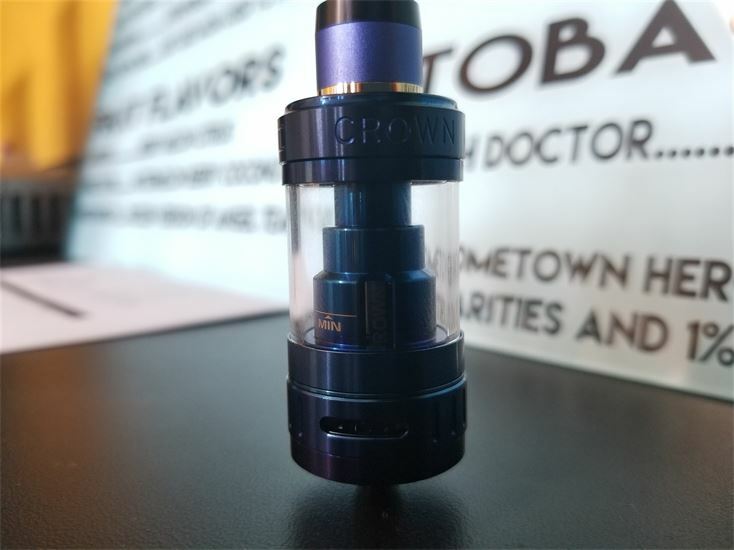 The Crown 3 utilizes the new Crown 3 Replacement Coil Family, with a threadless design that features reinforced seals to provide a liquid tight fit and finish. Each coil features a vertical coil arrangement and triple vertical wicking slots for rapid wicking. The ancient volcano, Mount Vesuvius, is a cloud beast entrenched into the earth. Although calm, the 2,000 foot diameter crater fills with steam; a formidable, gasping lion. Once awakened, she erupts lava into an ominous sky, and the earth trembles with her great power. Now, SMOK brings you this magnificent power, completely changing your vaping experience. The TFV8, is the ultimate sub-ohm atomizer. The TFV8 utilizes unique, patented Turbo Engines: V8-T8 (6.6T), V8-T6 (6.0T), V8-Q4 (5.0T), and the V8 RBA (4.0T-X). These add up to make the TFV8, a real Cloud Beast! V12-Q4 (quadruple coils), which definitely makes it to be the cloud beast king for the year 2017, Innovation keeps changing the vaping experience! Designed for pure flavor and MTL styled vaping, the Nautilus 2 specifically caters to flavor enthusiasts looking for a more restrictive draw. Airflow enters the Nautilus 2 through a 5 airhole configuration that can be throttled all the way down to a single 0.5mm airhole. The Nautilus 2 utilizes the classic Nautilus Coil Structure, utilizing the traditional 1.6 ohm coil rated from 10 to 15W and the newer 0.7 ohm coil rated for 18 to 23W. Filling the Nautilus 2 is achieved through a threaded top fill system with a maximum capacity of 2.0 milliliters. 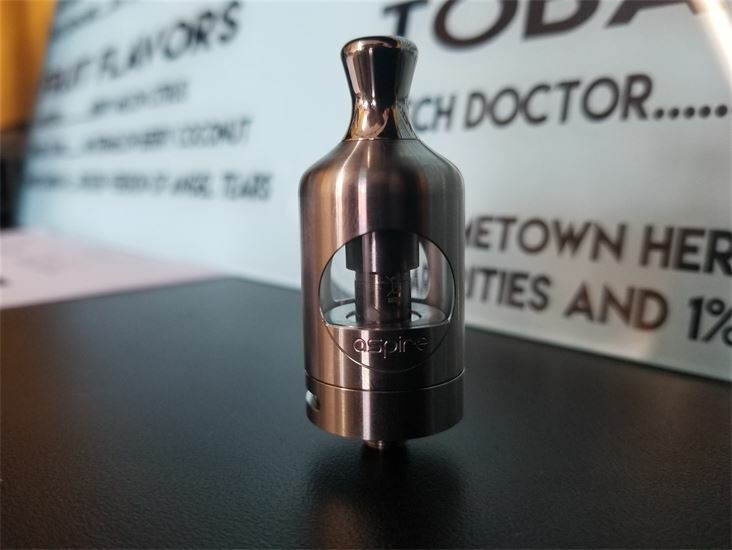 Perfect for flavor enthusiasts and users looking for a restrictive draw, the Aspire Nautilus 2 is an excellent budget orientated atomizer that repositions this classic coil system as one of the premiere in it's respective market segment.